I love a good mystery, especially one that is shrouded in family secrecy and lies. 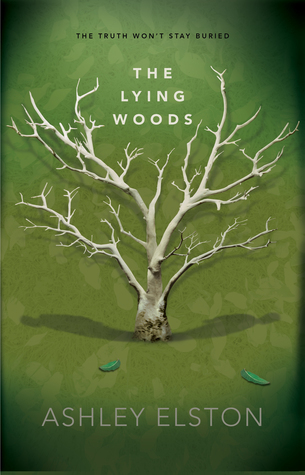 The Lying Woods was so much fun. Great characters that were hard to resist and a storyline that flashed back and forth from present day to the past that was just as captivating and shrouded in mystery as the present day mystery. I loved how not only the stories but the characters themselves intertwined and came together. With shocking discoveries and revelations, this one kept me turning the pages and on my toes. It was definitely different and unique in a lot of ways. A well-written mystery! YES! I need it! I liked her last book a lot so I am excited for this one. Glad you enjoyed it! I need to read more by her, for some reason she was new to me. I really love mystery/suspense stories too. I'm listening to one now. Glad you enjoyed it. I love it when a story keeps me glued to the pages wanting to figure out what happened. Sounds like a great mystery! It was definitely a good one! Mystery, board school, NOLA, secrets and lies..oh yeah. This sounds good Ali. Oh yeah! I really do love all those tropes. Thanks for the recommendation. I'm always asked for mysteries and thriller books by my teens. I'll add it to my pile. That was my favorite genre when I was in high school so I love that you do that! I love books with family secrets. This sounds interesting. Me too and I don't even know why LOL! I like family secrets and lies too! :) Sounds like a good mystery, I'll definitely add this one. Sounds like you found a good one! I am glad it has great characters and kept you on your toes. Ooh I think I'd like this one. I do enjoy a good mystery. Love the cover, and the story piqued my interest! It was definitely an interesting story! Well this sounds fun. I can’t resist a good mystery. They are hard to resist aren't they? The cover is simple, yet creepy. There's just something about it that's unsettling. I'm really glad you enjoyed this one! It's not one I knew about, but I'll consider adding it to my list. I love shocking stories, but I think I need a break from intense mysteries -- phew! I agree about the cover and I can't even say why it feels that way but you are right, it really does! There are so many buttons this book pushes for me. The first is the cover. Woods and trees...they stop me in my tracks every time. They can be pretty freaky.